ho would dare to describe Constantinople? Edmondo de Amicis answered his own rhetorical question in his travelogue, published in 1877. In this vivid book about this great city, Italian poet, novelist, and travel writer Edmondo de Amicis best known for his children’s novel “Cuore”, comes to a new understanding of the patchwork nature of life. After an eight-day voyage to the city, De Amicis was initially dismayed to discover that his first glimpse of this much-awaited city will be one obscured and distorted by fog. “Curse it!” he said. Yet, as the Italian travelled nearer, he appreciated the slow “unveiling” clearing mist -it was after all, the best introduction to the city anyone could wish for. As he moves around this most cosmopolitan of cities, he sees Greeks side by side with Turks, Armenians with Gypsies, and Catholics with Jews, minarets “tinged with rosy light from the rising sun”, palaces lining the water’s edge, small harbours, lush gardens and exotic pavilions. Sights, sounds and smell that almost defied the author’s powers to describe in words one of the mosr restless and diverse cities on Earth. It is no wonder that Istanbul’s culture is blooming. From traditional to contemporary, this city is a producer of thoughts and ideas, it is a playground for visionaries and this is adressed perfectly in Slanted’s in-depth publication on it. The only metropolis in the world that unites two continents, this where traditional crafts collide with a young and blossoming art and design scene, which is slowly changing the face and image of the city. Slanted, one of our favorite bookmarks by far, takes a close-up look at contemporary design work and all the tumultuous developments in this cultural melting pot city balanced between the Orient and the Occident. On their one-week-trip the Slanted team met 15 design studios and produced comprehensive studio portraits which provide a vivid and up-to-the-minute picture of the scene. The resulting video interviews have been enriched with video material from the Shutterstock collection. Thanks to Augmented Reality and the Junaio app, readers can easily watch embedded videos of the Istanbul turu on mobile devices. The issue is thematically complemented by illustrations, photography and fine art from contemporary culture. The cover is dedicated to Metin Edremit, the designer of the original “Istanbul symbol” whose design won first place in a competition 1969. The “logo” symbolizes many things, such as the seven hills upon which Istanbul was built and the city skyline. With small, formal changes, it now graces the 2-color printed letterpress-cover. 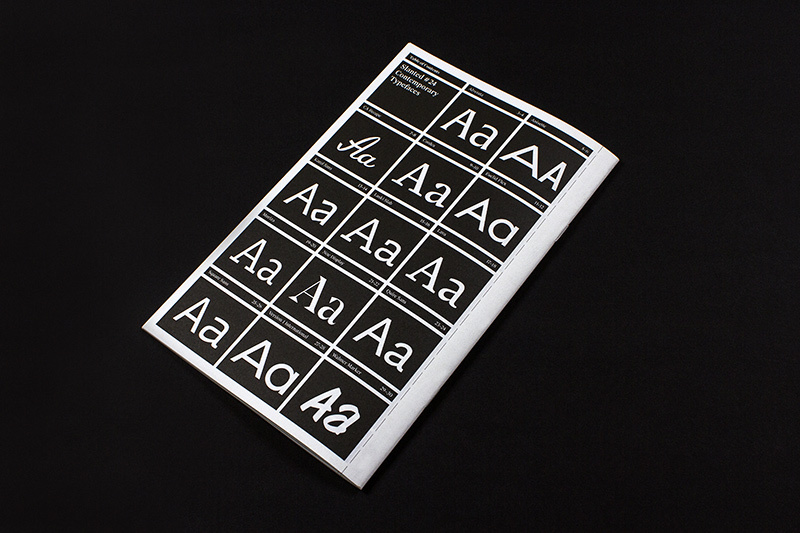 Last but not least, the booklet “Contemporary Typefaces” inside this 288-pages long publication, presents fourteen recently published typefaces Slanted thinks are important and interesting. Among these, typefaces from the likes of type foundries such as Typofonderie, Emigre, Typotheque, Monotype, Parachute, Typolar, VolcanoType. We are off to a visual tour at the Sublime Gate of the past that still shines bright over the water of Bosphorus.